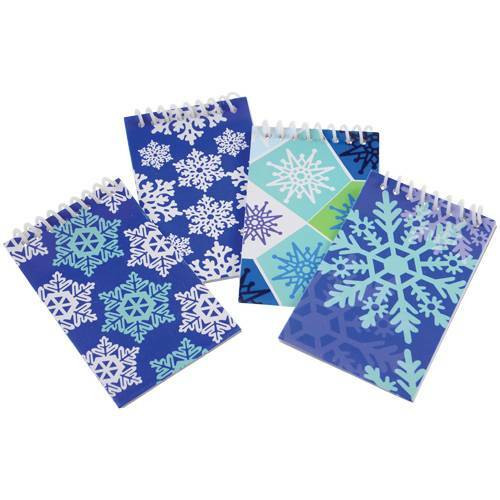 Each notebook is 2 ¼” W. x 3 ½” T.
Stuff their stockings with their very own doodle pads. Each winter notebook has 20 sheets of lined paper and features an exclusively designed winter image. These spiral note pads are great for making grocery lists or keeping track of daily purchases. It's smaller size makes it an ideal party favor for classroom holiday parties and other winter events.